Human Resource Department at SMBB Trauma Centre believes in creating working environment for its employees to thrive high performance by providing learning & development opportunities,empowerment & excellent remuneration. We value our employees & consider them as our great asset, we develop employee’s relations through effective and efficient practices of HR policies & procedures. We focuses on achievement of excellence with competent work force that provides high quality healthcare services. We believe in hiring motivated & driven individuals through our transparent, equitable & merit based selection process that ensures our commitment towards quality healthcare services. 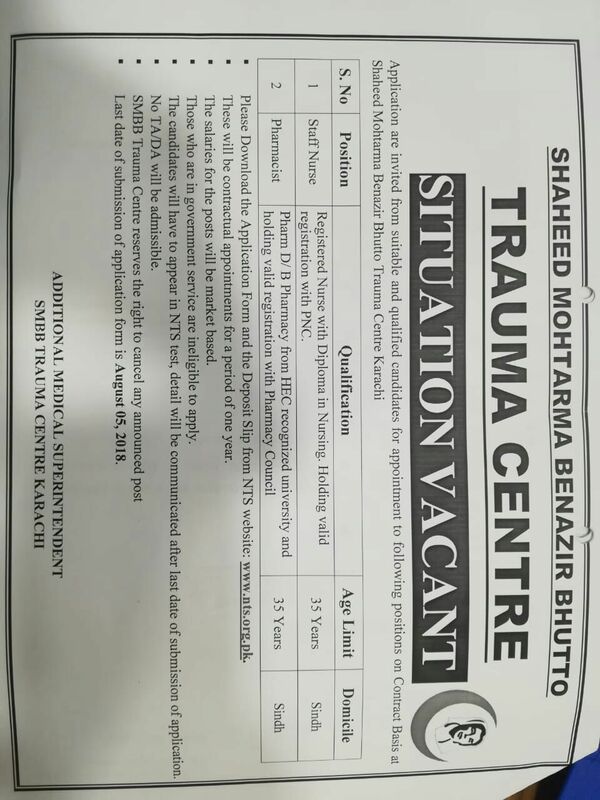 The Management of SMBB Trauma Centre have continues focus on different trainings programs for paramedical/medical and support staff,so our employees can work according to the latest health care practices & upgrade their skills/knowledge further. We remain focus on improvement and strengthened to meet the needs of dynamic and constantly changing HR and health care environment. Be a part of outstanding team & avail fulfilling career opportunity.